One of my favorite outfits this summer is this one. I'm normally not a fan of striped dresses but after trying this one I defiantly changed my mind. First of all the pockets! Second, it's super comfortable and is totally one of those dresses that's perfect for days where you just don't have time to think about your outfit (which is everyday in my book). 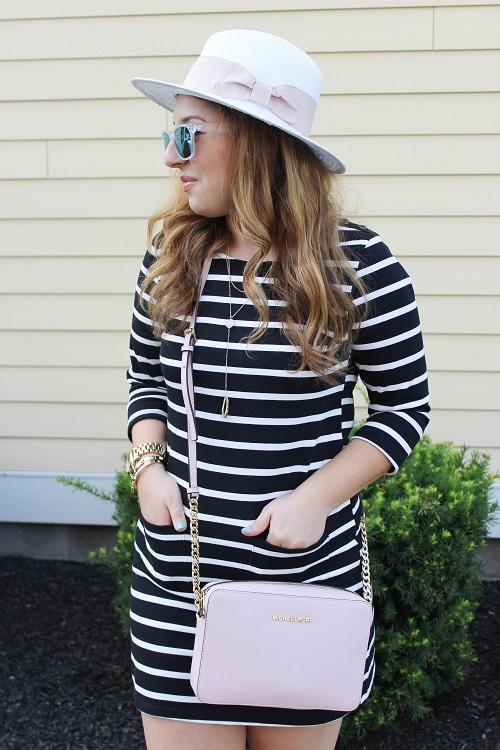 I decided to add a few girly touches here and there with my new favorite hat from H&M and this pink crossbody from Michael Kors. 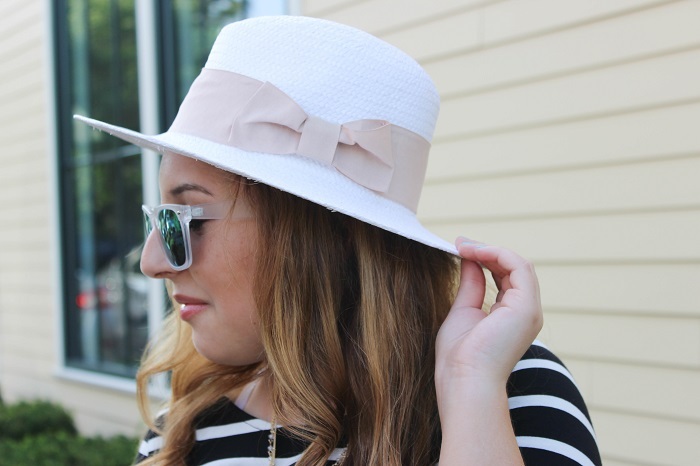 The hat is literally been on repeat in my closet and now I'm defiantly on the hunt for more summer hats to wear before the season is over :( I completed the look with these H&M flats that have a gold, glitter strap. Who says you can't wear glitter during the day? 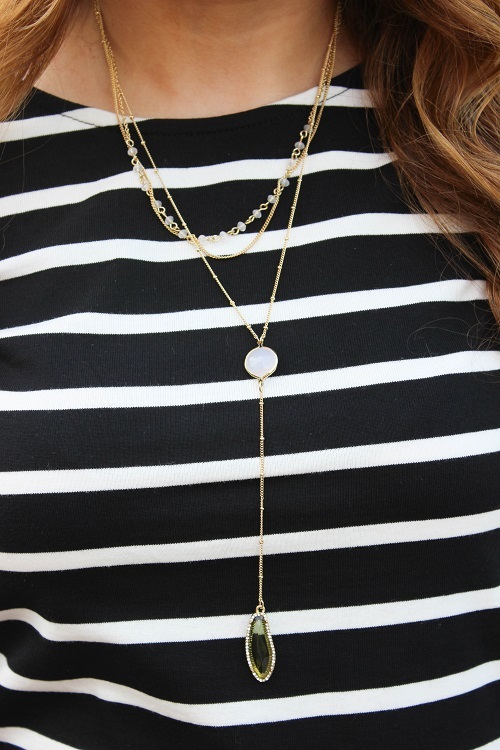 What are some of your favorite outfits that you've worn this summer? Let me know! Lovely look! 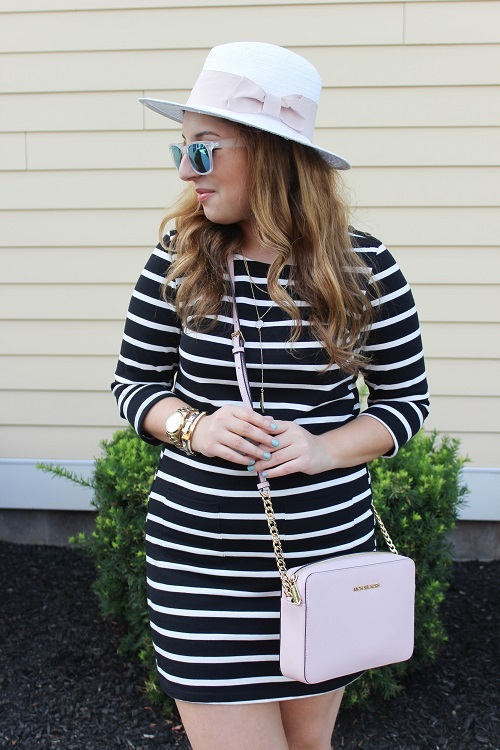 I love that striped dress and it looks great how you styled it. Love those slip on sandals, too! This outfit is perfect! The dress is great and that necklace is fantastic. I need to start checking out DSW for jewelry! This outfit is so cute! And I love that bag - not many get an MK bag in a color as lovely as that! I have this bag in yellow & I love it in blush! Isn't it the best? !